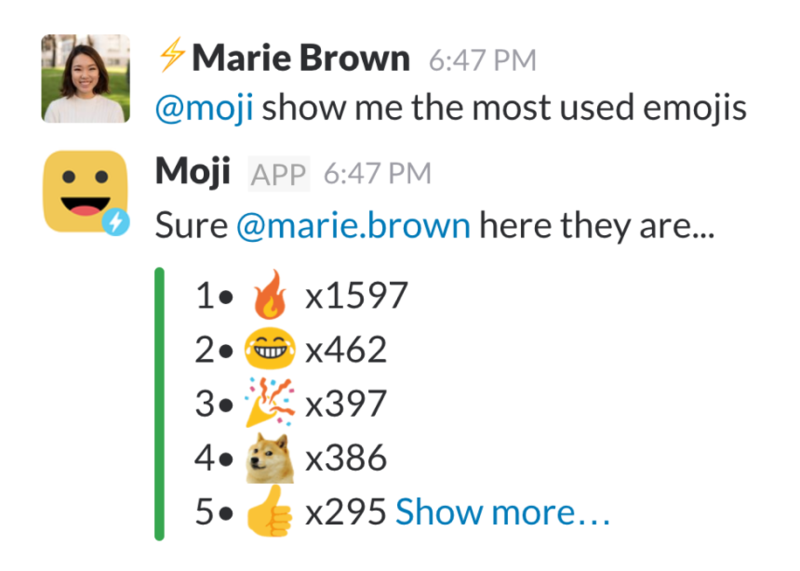 Moji is a friendly bot that keeps a count of the emojis you and your teammates use in Slack. Curious on who uses more emojis? Just ask Moji to show the leaderboard and you will find out who uses emojis the most! Moji will keep a list of all the emojis you use, even the custom ones . To see them just say @moji show my favorite emojis or @moji team's favorite and even @moji who received more 👍 this week?. How much does it cost? Moji is free! Si señor, free. Why did you build this? Why not? We all love emojis and I had this crazy idea of keeping track of them, a few weeks later Moji was born. I have an awesome idea for a feature! Great! Please contact me at hello@mojibot.chat. Feedback, bugs and feature ideas are greatly appreciated! What else can Moji do? 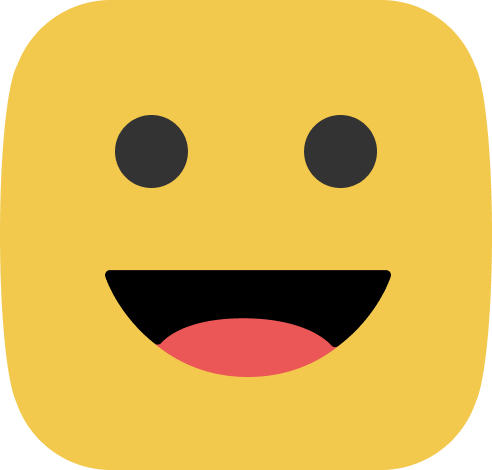 Moji can tell the team's most used emojis, your favorite ones, who uses more emojis and a few more things... just type @moji help and Moji will tell you the details. More features will be added in the future. What about privacy? Moji respects your privacy and doesn't store any messages or personal information. Moji only collects your email and the emojis you use to build leaderboards and count your favorite emojis. All this data is yours, is not shared nor sold, is private and is secured so rest asured and have fun! If you have any questions please let me know. © 2019 - Made with ❤️ by Gary Torres.